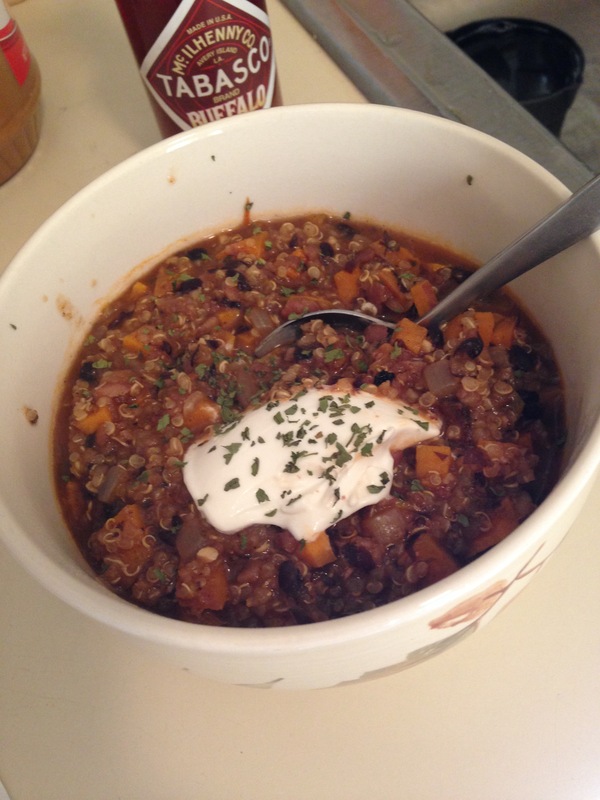 Quinoa, Black bean, and Sweet Potato chili | (m)EAT LESS, RUN MORE! 2. Add the salsa, cilantro base, cumin, chili powder, oregano, beans, and sweet potato. Cook for about 2-3 minutes, stirring constantly. 3. Add the broth, give it a good mix and then bring to a boil. 4. 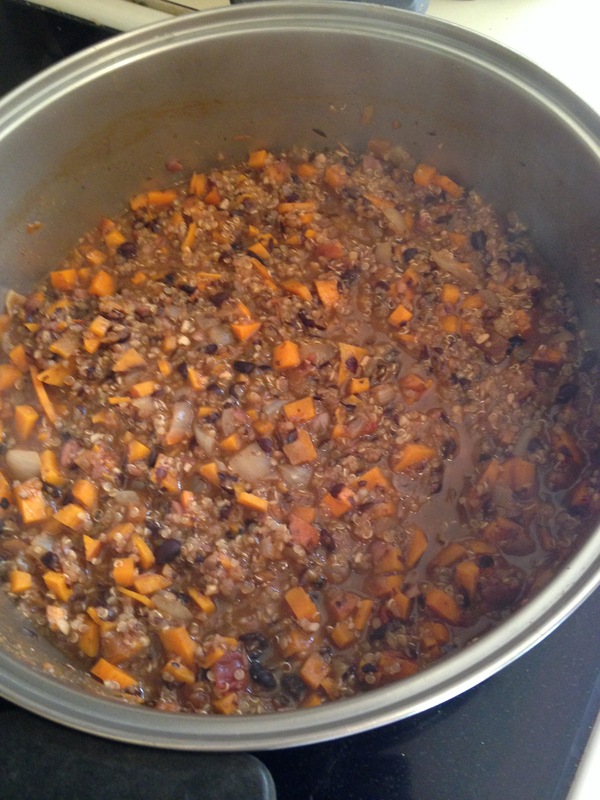 Add the quinoa, reduce heat to very low, cover and let simmer for about 30 minutes. Makes 8 servings. 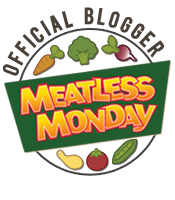 Per serving is 211 calories, 3.1g fat, 36.3g carbs (5.7g fiber, 3g sugar) and 7.9g protein. This was so good that I had it for lunch and dinner! 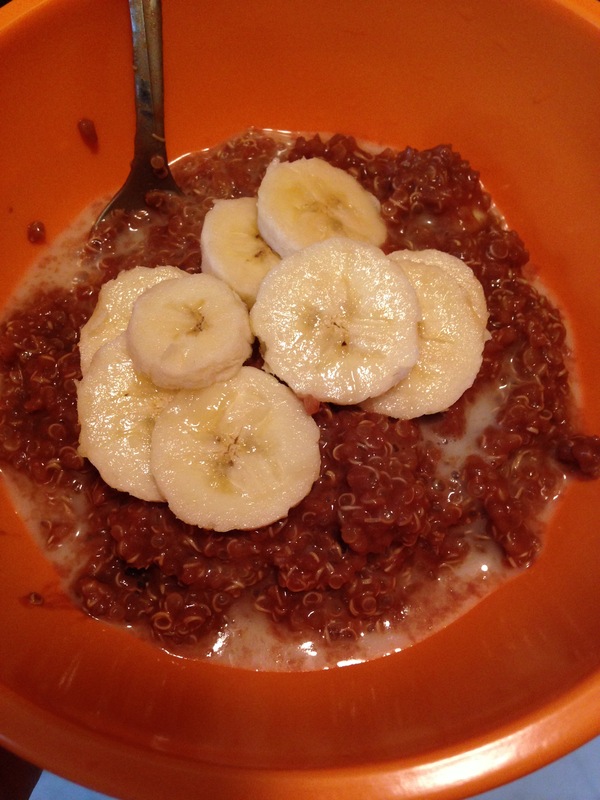 I also had quinoa for breakfast – Chocolate quinoa with banana and maple syrup – Mmmmmm! I used THIS recipe, but I subbed maple syrup for the honey, left out the mint, and added a tablespoon of PB2. And I used unsweetened vanilla coconut milk instead of almond.